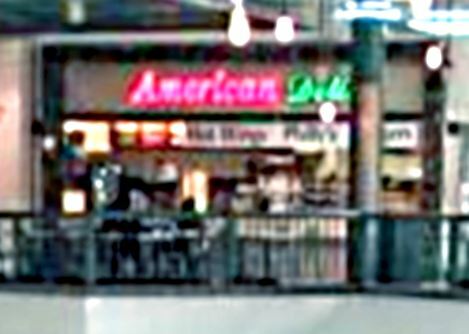 American Deli opened at the end of October 2000. 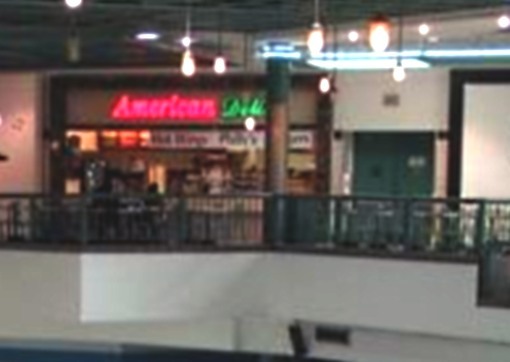 American Deli held on to the bitter end of the mall, and was the only food vendor left on closing day. 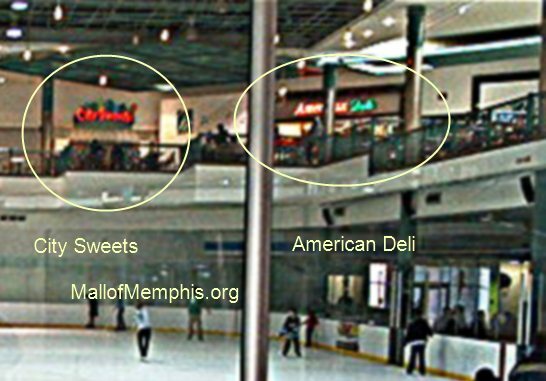 You can see in the picture below taken from the Ice Rink that there are not many choices in the upper food court anymore (actually just candy vending machine and the American Deli). It doesn't seem that long ago that the food court was filled with so many different choices it was difficult to decide what you wanted. The mall food court was an ideal lunch destination for office workers up and down the I-240 corridor, from Walnut Grove to Millbranch, as it was just minutes away be interstate and a group of friends could all eat lunch together but have a wide variety of food choices. There was a good bit of "people watching" going on here around lunch each day as well. -- Kurisu Edit: On the final day, Mom and I grabbed a small meal from here, sat down, and ate. I found it a little funy a nice Asian woman running "The American Deli" but then again, America is made of many different people. Anyway, That burger was honestly the best one I ever had. It was huge, very well cooked, and just... amazing. I have a reciept from there, from that final day, but I cannot find it to save my life. I will keep looking. Also interesting note, in one of the demolition pictures, the destruction is stopped at the exact spot mom and I ate. Rather creepy, if you ask me.